A Free For All Friday Featuring Smokey Robinson – Celebrate the Summer Heat Wave with Free Shows Throughout the City! On Friday, June 21, the TD Toronto Jazz Festival will present its first-ever FREE-FOR-ALL FRIDAY where admission to the entire Festival is on us! 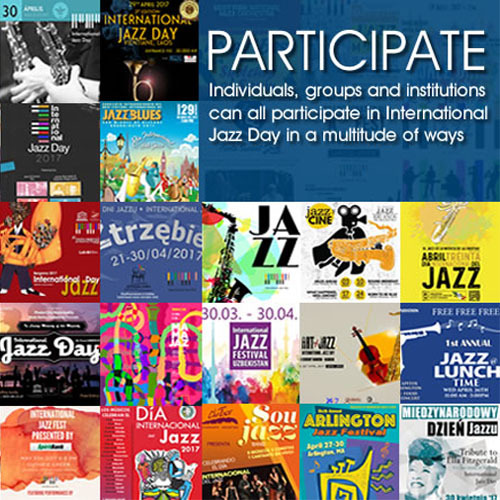 Visit any participating club, venue or restaurant that day and enjoy the music free of charge. Feel the Motown sound move through the tent as Smokey Robinson powers up the downtown core on Friday, June 21, at 8:00 p.m., at Nathan Phillips Square with a FREE concert. Renowned for such hits as “Shop Around,” “You’ve Really Got a Hold on Me,” and “Baby That’s Backatcha, the Rock & Roll Hall of Fame inductee will bring his catalogue of Motown hits with him as he kicks off summer. Motown vocalists Martha Reeves and the Vandellas will join Robinson for the “Heat Wave,” with a hot show that will have Festival-goers “Dancing in the Street” to a blend of jazz, blues, R&B, pop, doo-wop, rock and roll and soul! 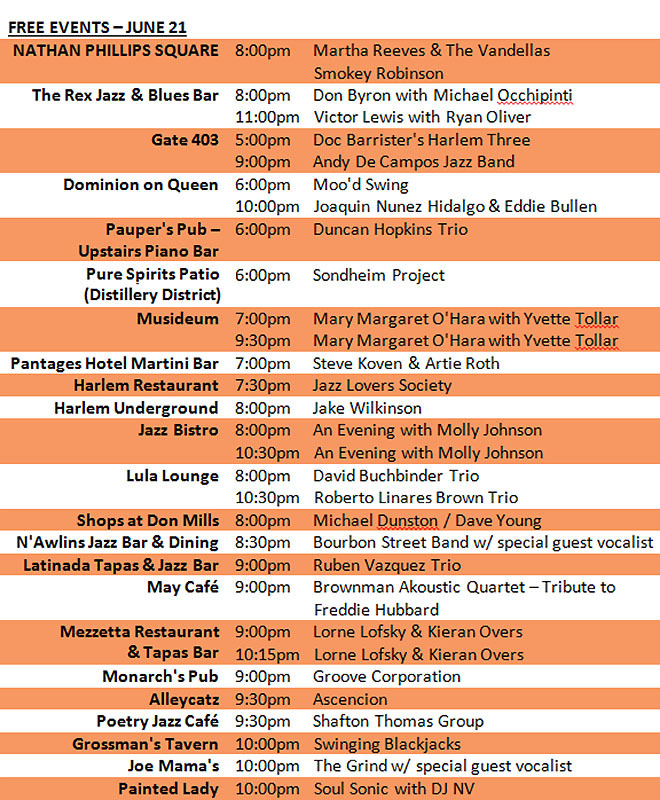 Jazz will play throughout the city on June 21st for FREE, with various locations playing host to many talented performers throughout the day and late into the night. From the clubs, to the patios, to Nathan Phillips Square, travel the city and get your jazz on without a ticket. Turn up the jazz and explore the TD Toronto Jazz Festival as it plays nonstop for 10 days, from June 20 – June 29, 2013. Uniting half a million fans at more than 60 locations across the city, the Festival is the ultimate destination for music lovers. Make the Festival your meeting place this summer and take in a breath of fresh jazz.